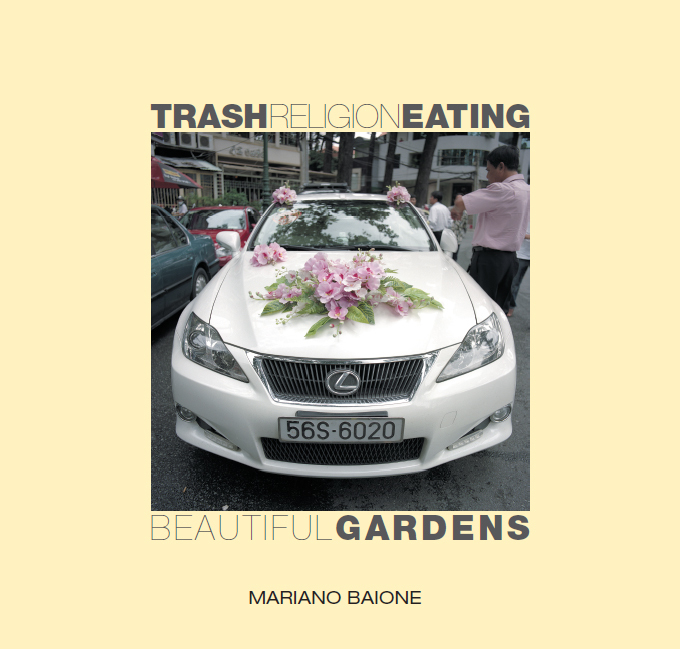 I had the pleasure of spending some time with Mariano in Saigon while he photographed for this book. I also took photographs, but couldn’t capture the raw flavour of daily life the way he does. 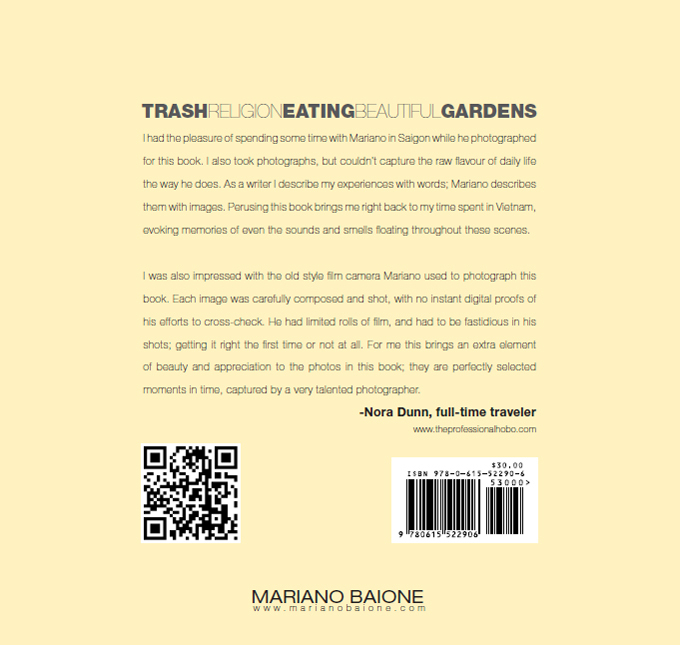 As a writer I describe my experiences with words; Mariano describes them with images. Perusing this book brings me right back to my time spent in Vietnam, evoking memories of even the sounds and smells floating throughout these scenes. I was also impressed with the old style film camera Mariano used to photograph this book. Each image was carefully composed and shot, with no instant digital proofs of his efforts to cross-check. He had limited rolls of film, and had to be fastidious in his shots; getting it right the first time or not at all. For me this brings an extra element of beauty and appreciation to the photos in this book; they are perfectly selected moments in time, captured by a very talented photographer.